According to the fashion guides Burgundy is the colour of the season. And that’s fine by me. I’ve never been a huge fan of red. It’s a difficult hue to master stylishly especially if you are blonde. And even then i’m not a fan on me. I honestly don’t think I have one piece in my wardrobe that’s red. However, burgundy I am all over. Classic, stylish, yet remaining sultry. A cashmere sweater, bag or burgundy skirt has gone straight to the top of my list of new season updates. Preferably in cord or velvet. What I love even more is that this trend has filtered down into children’s fashion. I just spotted tow of my favourite kids brands sporting burgundy designs. 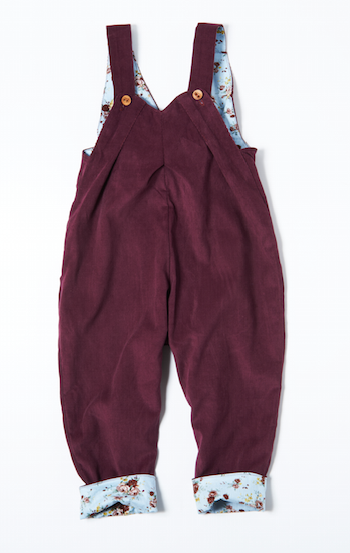 I am so in love with this Elfie London, dress, and What Mother Made, dungarees. And for the little men? 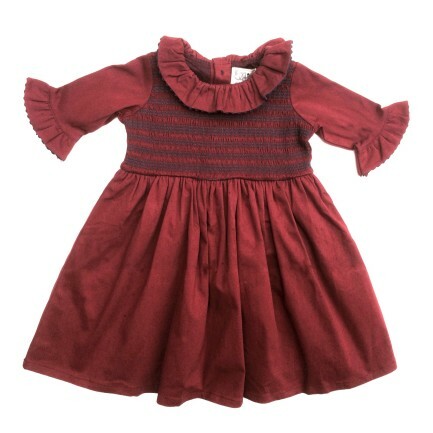 What could be cuter, or more stylish, than a pair of burgundy chords worn with a shirt?